WHY SO MANY WATER MAINS BREAKING? I suspect some of you have found it curious, as I have, that so many water mains have been breaking in the Los Angeles area recently. This image shows the locations of the breaks from September 1, 2009 until September 29, 2009. Many more have occurred since that date. If you wish to see the actual interactive map with locations and dates click HERE. A PRECURSOR TO "THE BIG ONE"? The other day, as I was peacefully enjoying my lunch at a favorite local hangout, a good friend and neighbor stopped by my table, plunked down in a chair and asked me if I knew what all the water main breaks means? It was a kind of out-of-the-blue question, so I rocked back and asked him what he was getting at. So, he told me that it is a precursor of The Big One! His view is that those brittle, mostly older, water mains are inflexible segments of the infrastructure that will break rather than bend when the earth surrounding them begins to apply pressure. He and I have never spoken about the possibility of a big earthquake before, so I just let him present his theory and, after a little chat, he excused himself and left me to ponder the possibilities. I found that link above, then went looking for earthquake fault maps, to see if there might be some kind of correlation - and got more than a little nervous once I found them. You can view one of them HERE, on this interactive map, which gives you the fault names as you pass your cursor over each fault line. It seems that most of those breaks shown on the image above are clustered around the area where the Whittier Fault approaches the Raymond Fault, which extends from right to left on that map toward the ocean, where it adjoins the Santa Monica Fault. If you use Hollywood as the epicenter, at least five million people live and/or work within a 10 mile radius of that point. Several years ago, following Hurricane Katrina, I wrote an essay speculating about the impact of an 8.3 quake along the Newport-Inglewood Fault, which runs basically from LAX through Long Beach, Huntington Beach and Newport Beach before it joins the Rose Canyon Fault and turns offshore near Dana Point. I speculated about the staggering loss of life and property should that happen. You can read that essay HERE. If a similar magnitude quake were to hit with Hollywood as the epicenter the losses would make my earlier estimation seem minuscule. All of this got me thinking again about our earthquake preparedness, or rather, our lack thereof. Many of us talk about being prepared for a natural disaster, earthquakes being the most likely, but seldom do anything about it. We know we should have food, water and emergency supplies staged in our homes and cars, but don't take the time to collect them. I guess we're just assuming that we will never be affected by such an event - kind of like those hundreds of thousands of folks in the far Pacific regions who have lost their lives and/or all their worldly possessions to the effects of a Tsunami. You can read a recently-updated Emergency Preparedness Handbook prepared by the Los Angeles City Fire Department HERE. It's a great resource, easy to read and gives you a good guidebook to follow in your own earthquake preparedness exercise. I'm not going to attempt to echo all the good advice contained within that booklet, but certainly do encourage you to look through it and follow the information provided. It is estimated that each of us may be "on our own" for upwards of a week following a natural disaster - an earthquake, for example. You will recall the unusual broken water main at the intersection of Via Lido and Newport Boulevard a couple weeks ago. Well, that site is directly astride the Newport-Inglewood Fault! With the images of those poor folks in New Orleans, stranded in the Louisiana Superdome following Hurricane Katrina - with rotting corpses and no food or water - still in my mind, I encourage you all to get your family prepared - just in case. The following brief video from the Superdome during the aftermath of Hurricane Katrina may provide you some motivation. The sale of the Orange County Fair and Events Center as a theoretical method of balancing the state's budget continues to generate more heat than light. Much has been written in the local media recently on this subject, including on this blog. The President of the current Fair board, Kristina Dodge - who could probably buy the Fairgrounds from her petty cash account - wrote an opinion piece in the Daily Pilot HERE. The editors of the Daily Pilot opined that the Fair should stay, HERE. 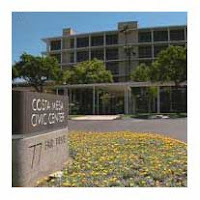 Following the most recent Costa Mesa City Council meeting last Tuesday night Daily Pilot reporter Mona Shadia gave us her take on the proceedings HERE and Orange County Register columnist Frank Mickadeit dragged himself away from his law books to cover the meeting, which he summarizes HERE. Republican activist, Costa Mesa Planning Commission Chairman and councilman-wannabe Jim Righeimer has taken the cause of keeping the Fair intact under his wing and has written two columns in the Daily Pilot to generate interest in a ballot measure to accomplish that goal, HERE and HERE. Stand-in City Attorney, Harold Potter, opined last Tuesday that the City cannot put this issue on the ballot - something do do with liability if it scares off a potential buyer. He was directed to present more information to the council on this issue. Then, to the surprise of very few following this issue, our friends at the Newport-Mesa Daily Voice tells us HERE that the new Orange County Fair and Events Center Foundation - which includes many of the current Fair Board members - have decided that their meetings will not be open to the public. Remember that smell when you drive past a squashed skunk on the road? That's what I smell with this decision, a nd it's certainly an example of the reason there is so much distrust of this board and their real motives for trying to purchase the Fairgrounds on the cheap. By the way, we still don't know who is on that new board. We do know Dodge and political kingmaker Dave Ellis are apparently on the board, but the other four members from the current Fair Board have not been identified, nor have the two residents of Costa Mesa or other members. KEEP AN EYE ON THIS PROCESS! Based on the recent activities on this issue, there is much public interest in retaining the Fairgrounds as-is - with all the amenities and features intact. The way things seem to be shaking out, if we don't pay very, very close attention to this process we're going to find the Fairgrounds sold for a low-ball price to a group that will then manipulate the Costa Mesa City Council into re-zoning it for major development purposes. One question that continues to linger is the status of the group that was appointed by the Governor to run the Fairgrounds. We know the Fair, itself, is guaranteed by the terms of the Request for Proposals for the sale that the Fair is to run unobstructed next year. The actual closing of the acquisition occurs in October, 2010. If the Fairgrounds does, in fact, get sold to someone who wants to put a casino, a toxic waste dump or high rise condos on that 150 acres, what happens to the Fair? Well, if you stand on your tippy-toes and look southeast you'll find a perfect location - the Emperor Agran's Great Boondoggle, er, Park! Yep, it's a perfect place to carve out a couple hundred acres for a new, improved Orange County Fairgrounds. Don't you suppose some of those folks on the Fair Board have thought just a little about that? Stay alert on this issue or it will be a done deal before you finish unwrapping your Christmas presents! The Costa Mesa City Council meeting Tuesday night went pretty much as anticipated. After a very brief discussion the council decided to maintain the existing Traffic Impact Fees, with the staff citing the significant decline in development activity. The four regular members of the 3R committee requesting re-appointment were confirmed and alternate and soon-to-be newlywed Rob Dickson was moved up from an alternate to a regular membership. We got a pretty good idea of Mansoor's mindset when he attempted to appoint Colin McCarthy as a regular member although he specifically requested NOT to be moved up from his role as an alternate. For some inexplicable reason the council denied Katrina Foley's motion to appoint Evan Little as an alternate. They were probably following Mayor Mansoor's lead, in which he rebuffed Foley's suggestion. The council heard an excellent presentation by members of the Police Department regarding the cost savings measures implemented by the staff for the ABLE (helicopter) program we share with Newport Beach. The upshot was that no additional reductions were proposed and Mansoor will get together with Newport Beach Mayor Ed Selich to draft a letter to adjoining cities to encourage their participation in the program as full members and share the cost. The council rejected Mansoor's motion to combine the Planning and Parks & Recreation Commissions. It apparently felt the $3,500 annual savings wasn't worth the drop in service to the community. Much to my surprise, Parks Commissioner Jeff Mathews was not appointed to the vacancy on the Planning Commission. Instead, Gary Monahan nominated Jim Fitzpatrick, which was seconded by Mansoor. Fitzpatrick has become very visible in community activities over the past couple years and is a very amiable guy. However, he has virtually no planning-related experience in his background, unlike several other applicants. This may not be all that bad, but he's going to have his hands full on a Planning Commission dominated by three developers. Fitzpatrick has become a "water guru" of sorts and writes a regular column on the fledgling Newport-Mesa Daily Voice on water issues. Since Mathews was not moved up there was no vacancy on the Parks & Recreation Commission to fill. As outlined in my earlier blog entry, Budget Research Officer Bobby Young presented the bad news to the council. No action was taken, but the council looks forward to the midyear budget presentation, when the impact of reduced sales, property and TOT tax revenue will become clearer. We'll also have a clear picture of the number of retirees that will take advantage of the enhanced retirement program and the actual fiscal impact of those retirements. Right now 34 people have either retired or filed to do so. The city was hoping for around 50. The council spent a significant amount of time discussing the creation of a Specific Plan for the Fairgrounds area in an attempt to lock in that use regardless who the buyer of that property might be. Many residents and vendors from the Equestrian Center presented their views, including Planning Commission Chairman Jim Righeimer. 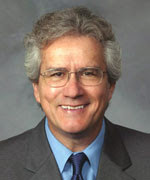 The upshot was that the staff will move forward briskly on the creation of the Specific Plan and the City Attorney will research and present views on the possibility of placing this issue on the ballot for a vote of the people in June - a suggestion that Righeimer is moving forward with at warp speed. After hearing Gary Monahan's request to relax enforcement of temporary signs and banners throughout the city to "give merchants a break", the council correctly rejected that proposal, but did vote to request the Planning Commission to review our current sign ordinance for possible revision. Well, after the second consecutive meeting on the subject lasting almost 3 hours the Costa Mesa Planning Commission finally approved the plans presented by former mayor Peter Buffa for his client, Burnham-Ward, to resurrect the failing South Coast Furniture Center Monday night. You may recall that in their regularly scheduled meeting last Monday the commission, running one short since Jim Fisler resigned for a position on the Mesa Consolidated Water District Board, went round and round with the developer and heard testimony from many residents from the "state streets" about the current negative impact the lighted signboards have on their neighborhood. It was finally shoved off until last night, hoping that Buffa and the development team could reach some common ground with the staff and residents. The upshot was, apparently, a very significant outreach by Buffa and his team, including more visits by planning commissioners to the neighborhood as recently as Sunday night. So, Monday - in a rare special meeting - the commission heard about the changes, and heard - again - from residents. This one even included a "field trip" into the parking lot for a look at a scaled-down version of the signs being proposed. Makes one wonder how many Brown Act violations took place in those few minutes of wandering around outside, doesn't it? That's old Ralph over there on the right. APPLICANT NOT GIVEN CONDITIONS UNTIL THE MEETING! One curious facet of this meeting was that the applicant was not provided copies of the new, revised conditions of approval until the discussion had begun. That's a very strange aberration from normal procedure and really put them at a significant disadvantage because their team had to caucus right there in council chambers to review them as Buffa was conducting the latest version of his dog and pony show. I must agree with one observer, who telephoned me about two-thirds through the meeting to offer his view that this was a real, well, I can't really write exactly what he said. Suffice it to say his two-word term for it described a group act that some might consider impossible. He's right, of course. The commission seemed to be trying to re-design the project before our very eyes - never a good idea. The result was a project approved conditionally that will, in all likelihood, be appealed to the City Council because the applicant was not happy with at least one of the conditions imposed on him. And, I'm not sure Buffa and his client's team enjoyed being reminded frequently by Steve Mensinger that he, too, is a developer - implying that he could do it better. Chairman Jim Righeimer implied the same thing. So, I must observe, once again, that this is a perfect example of just why having an imbalanced Planning Commission - overloaded with developer-types - is such a bad idea. We hope there will be some balance achieved when Fisler's replacement is named Tuesday. WHO HAS THE BIGGEST BLADDER? There is always a certain amount of puffery and posturing during these kinds of discussions, but Monday's meeting was kind of fun to watch. Several times Buffa felt it was necessary to remind the Planning Commission that his client always had the option to retain the current offending signs and actually build an approved but not-built even bigger and potentially more offensive sign on the property. In return the commission found it necessary to remind the applicants, including Buffa, that an appeal of this project to the City Council for even one of the conditions of approval opens the entire project up for discussion and possible revision - "de novo" was the term the city attorney used. On that note, the staff reports missing from tonight's City Council meeting agenda originally have been posted for review. Yikes! There will be a whole lot of shakin' going on in the Council Chambers beginning at 6 p.m. It's hard to determine the order in which the agenda will be followed because there is very little on the Consent Calendar that would stretch out that segment until the grand witching hour of 7 p.m., when the public hearings can begin. So, it's very likely that the council will consider other items in a herky-jerky fashion until 7, at which time they will begin the public hearings. As I've said before, it's time for them to change the policy and just take the agenda in order beginning at 6 and not tie their hands with that arbitrary 7 o'clock rule. Anyhow, among the many items they will consider in those public hearings are the Citywide Traffic Impact Fee Program. Based on the staff report and the condition of the economy, it appears they will likely vote for no change to the present program. Under Old Business they will finally make appointments to the Redevelopment and Residential Rehabilitation (3R) Committee. That should be interesting. There are several solid candidates for their consideration. Then they will decide what changes, if any, are to be made to the AirBorne Law Enforcement (ABLE) Services that we jointly operate with Newport Beach. Budget constraints have forced both cities to look closely at this program, but I can't begin to guess how this one will go. The third item under Old Business is the appointment of a new Planning Commissioner and, maybe, a new Parks and Recreation Commissioner. As I said earlier, it certainly appears that this one has all the earmarks of pure partisan politics. It looks to me like Gary Monahan's campaign helper, Jeff Mathews, may be shifted from the Parks and Recreation Commission to the Planning Commission and his slot backfilled with one of the new applicants. In my view this really reeks. Mathews seems like a competent guy although for much of his first six months on the Parks and Rec. Commission he was virtually mute. As I look over the applications for the Planning Commission I see several who have much, much stronger credentials than Mathews, both from an education and work experience standpoint. This will be interesting to watch. COMBINE PLANNING & PARKS COMMISSIONS? Then, ironically, the council will consider the suggestion that the Planning and Parks and Recreation Commissions be consolidated in the interest of cost savings. From the tone of the staff report, it looks like their preference would be to maintain both entities. We'll see how this discussion goes. Under New Business the council will get a briefing on how we are doing after the first quarter under our new budget. I've read though most of the very comprehensive staff report and I must say things are even more bleak than anticipated. For example, right off the bat we are told that the city must tap the Fund Balance to a much greater extent than anticipated - never good news. Our revenues have fallen way, way short of projections and the new projections include the loss of our nearly $5 million investment in the now-defunct Lehman Brothers account. So, instead of using $15 million from the Fund Balance account we used slightly more than $19 million to balance the 2008/2009 budget! How bad is our revenue stream, you ask? Well, Sales Tax decreased 18.61%; Transient Occupancy Tax (TOT) decreased 17.93% and Property Tax increased only 2.23%. Overall, total revenues decreased $9.6 million. Among the other things we are told is that, so far, 34 people have opted for the enhanced retirement program. The 10 point plan anticipated that perhaps 50 staffers would choose to take the money and run, and that of those, perhaps 25 positions could be abandoned. The staff has until the end of the year to make their decisions on this, so it will surprise no one if even more do decide to take advantage of the plan. The entire presentation by Budget Research Officer Bobby Young is available in the staff report. Suffice it to say that revenues are down more than anticipated and expenses are greater. Basically, there is no light at the end of the tunnel yet because there are still so many unknowns - retirements, etc. As a result, I think it's safe to assume that service levels within city departments may drop as staffing and the furlough programs being imposed begin to take affect. Young will also present to the council something called the Proposition 1A Securitization Program, in which the city tries to secure the funds virtually stolen by the state - nearly $3.5 million this year. I've read the plan and spoken with Young - it sounds like a reasonable, workable solution which gets us our money sooner rather than later. At the end of the council meeting - when the members are weary and prone to make bad decisions - the council will hear a proposal for the preparation for a Specific Plan to guarantee that the Orange County Fair and Events Center property remains a fairgrounds regardless who purchases it from the state. This should be very interesting. And, finally, there is Gary Monahan's proposal to declare a moratorium on the enforcement of our municipal code requirements on temporary signs and banners. I guess he thinks we need to make our city look like some of the tackiest cities in the county to rescue businesses that are in trouble. If this passes, I wonder how long it will be until we see a new, even bigger, even tackier sign plastered along the Newport Blvd. frontage of his restaurant? Like Wednesday morning? Monday, the 19th, the Planning Commission will, once again, hear the plan for the rescue of the current South Coast Furnishings Center. This item was pushed out from last week. It will be very interesting to see what, if anything, former mayor Peter Buffa has come up with for his clients on this issue. WILL THE COMMUNITY TURN OUT - AGAIN? At the last meeting it was clear that all the commissioners wanted to make this project work. However, the staff report for Monday's meeting includes a petition signed by more than 100 residents theoretically affected by the plans for a 60 foot tall LED light display that is part of the plan. Should make for interesting watching at 6 p.m. in the council chambers, on CMTV, Channel 24 or on streaming video. Then, on Tuesday, the City Council will address several items of great interest. Among those will be the selection of a new Planning Commissioner to replace Jim Fisler, who resigned in August because he was appointed to the Mesa Consolidated Water District Board. The recruitment for this opening was actually a joint recruitment for both the Planning and Parks and Recreation Commissions. That might lead one to think that the Planning Commission slot is already pre-ordained to Parks and Recreation Commissioner Jeff Mathews - why else would we run a dual recruitment effort? Mathews, you may recall, was a campaign operative for Gary Monahan last year. The pool of candidates for both commissions is quite impressive, but I suspect it will be pure politics that determines the selections. Also on the agenda is a quarterly update on our current fiscal situation, although there is presently no staff report available for advance viewing, much to my disappointment. Perhaps the staff will post the report on Monday for those of us actually interested in just how we're doing in light of all the extreme measures adopted. How many city staffers have opted for the retirement program, for example? And, of extreme interest will be an item near the end of the agenda dealing with the consideration of a Specific Plan for the Fairgrounds. I've read the staff report and it appears that such a plan would severely restrict any future uses of the Fairgrounds property to only it's current use. This might put a crimp in the game plan of any potential purchasers of the 150 acre facility.... we'll see. WHAT'S MONAHAN UP TO NOW? And, at the very end, there is a curious little item in which councilman Gary Monahan is apparently requesting a moratorium on enforcement of temporary signs and banners. There is no staff report on this one either, so we have no clue at all what's on Monahan's mind. Based on what is presented, it sounds like he must want to put an even bigger banner on his gin mill! I guess we'll just have to wait until the bitter end of the meeting Tuesday to find out.